The power of travel is getting to see things in the world that you haven’t experienced with your own eyes, but what if even the residents of a country haven’t had the opportunity to see it either? We spent four months this year in Colombia capturing stories of Transformation of Colombia, and one company is not only allowing others to see pristine, untouched nature, but they are protecting the rivers in Colombia too. This is the best of the best Colombia tours. Only two hours from the city of Medellin and four hours from the Capital of Bogota. One of the countries more pristine rivers flows wild and free. The Samaná river cascades down emerald valleys of lush tropical rainforests alive with birds, animals, fish and flowering plants. Eventually, she joins the Rio Magdalena, Colombia’s largest river. Expedition Colombia- A travel company based out of Medellín, wants to share the Río Samaná with Colombians and travelers because few have experienced it. Those who have been transformed by it, and what it represents for Colombia. In fact, they were was so transformed by it they started a foundation called Fundación Yumaná to help save rivers in Colombia from development, like the Rio Samaná. For decades, the unstable political situation kept people and developers out of this virgin territory. Today with Colombia at peace, a renaissance of exploration and Discovery is unfolding. 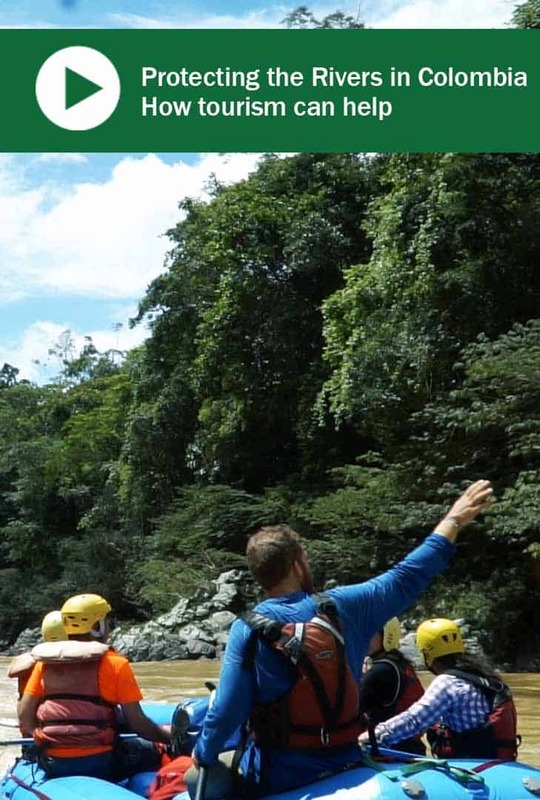 Biologists study the Samana on guided rafting and trekking expeditions and discovering new plant species. Biologist Rodrigo Bernal mentions has discovered many new species of Palm in the Samaná river canyon, not found anywhere else on earth. For example, if a dam was built, It could mean a disappearance of a whole species on earth. Jules takes scientists and travelers down the river and shows the future site of the proposed dam, Porvenir 2 which could be a massive structure 130 M of concrete all around the area. Now, when you travel to Colombia as a visitor, you share your journey with Colombians who are rediscovering or discovering their home country for the first time. Being part of this adventurous process sparks of the feeling of national pride of Colombians across the country. A local conservation movement called Samana Fest is evolving simultaneously with the development of tourism to the Rio Samana. As Colombians join people from around the world to protect the natural places that remain untouched after so much of the country changed after so many years of chaos. How can you help the rivers of Colombia? 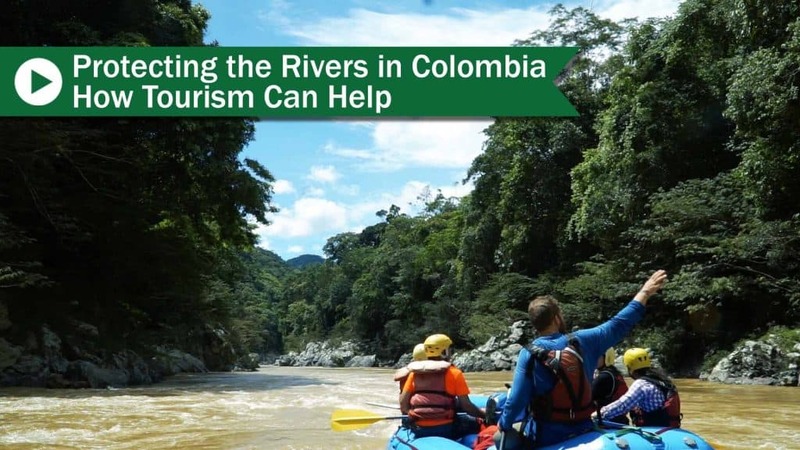 You can travel, or contribute to the Rio Samaná, by contacting Expedition Colombia or Fundación Yumana. Think about coming here for your Colombia vacation!